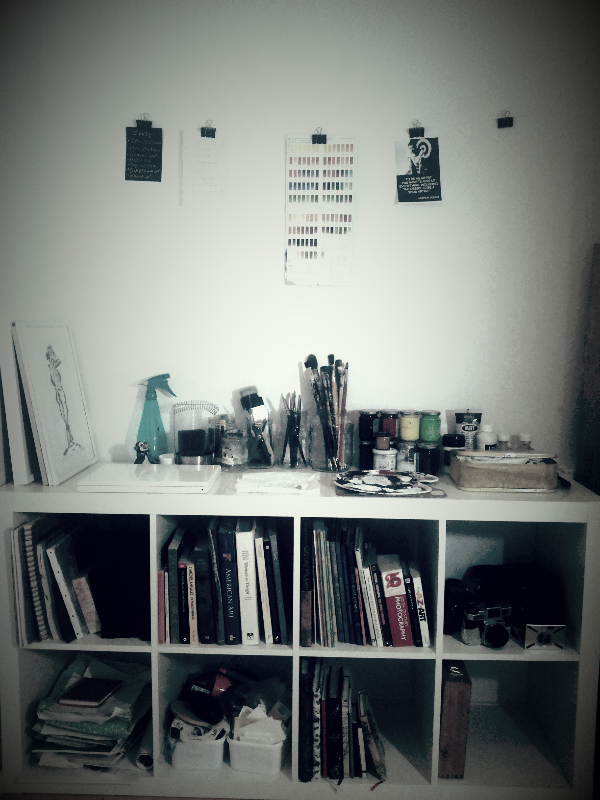 Finally my new studio is finished! Today I painted there for the first time and I love it. 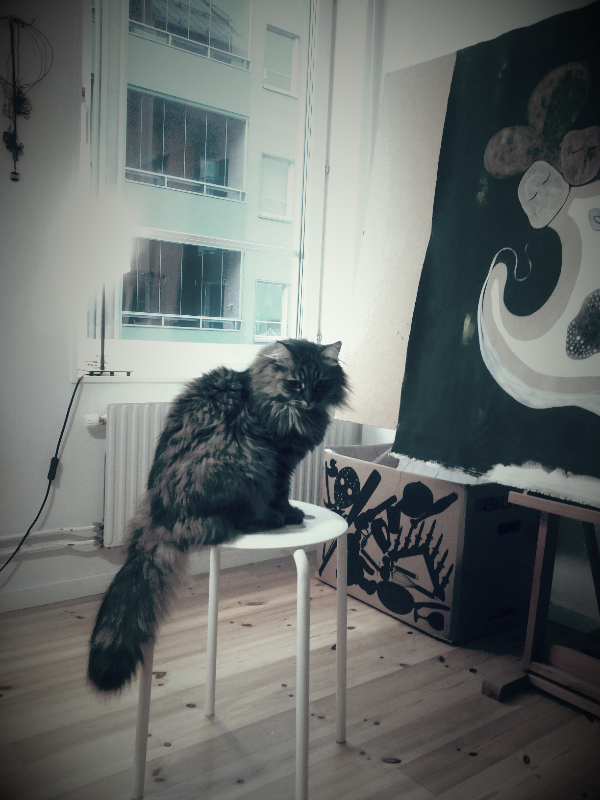 My cat Mischa loves hanging there too. 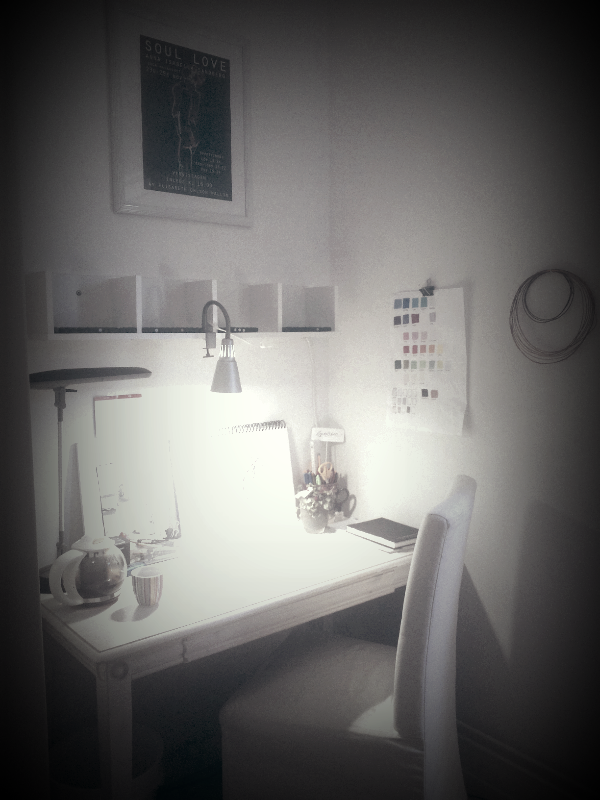 I love my old white desk from my grandmother. The shelf for my marker pens fit perfectly above on the wall too. 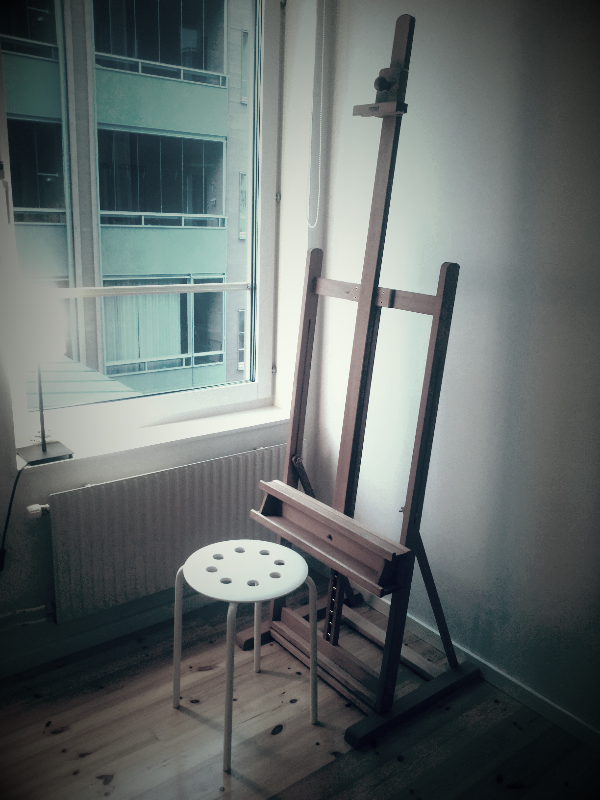 My new easel. Thanx to my boyfriend its stable and well mounted. Thanx! I used to have a much larger space for a couple of years ago but it was too expensive. This place is just right. But my most creative period was when I had my studio in my living room so its not always necessary with a studio somewhere. A desk in your home or a special space in your sofa can be enough. I hope you find the space you need to create things! Good luck to you.